As of August 1 2018, French shipping company CMA CGM has revived the SEANE service between Asia and Europe. In the past few weeks there were three sailings to Northern Europe, two of which we were happy to welcome at the Port Zeebrugge. The South East Asia North Europe Service (SEANE) officially launched in July 2017 but was withdrawn earlier in March of this year. From April the SEANE label was only used for ships that made extra journeys between the two regions. 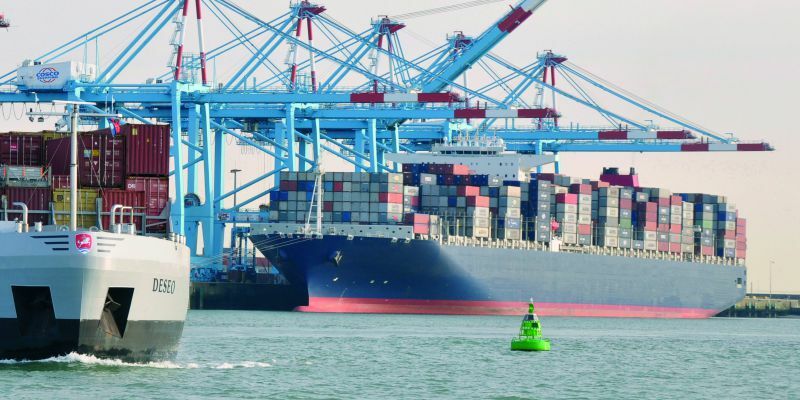 Thanks to the new sailing schedule, the port of Zeebrugge was able to welcome the ship ‘CMA CGM Nerval’ of 6,758 teu on August 27t, and the ‘Beijing Bridge’ of 4,800 teu on September 3. It is not yet clear whether this weekly service will become regular again.